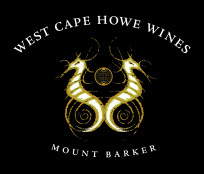 The Mount Barker wine region is located approximately 3hrs drive south of Perth. Its a great place to make camp and explore the five wine producing sub regions within the Great Southern: Albany, Denmark, Frankland River, Mount Barker and the Porongorups. Producing around 37% of wine grapes grown in WA, the Great Southern is one of Australia's largest Regions. The Great Southern offers unique and varied climates for grape growing. Renowned both nationally and internationally for Riesling, Shiraz, Sauvignon Blanc, Chardonnay, Pinot Noir and Cabernet Sauvignon, the Great Southern and in particular Mount Barker offer the wine traveller a chance to try many classic wine varieties grown and made to perfection. ARCADIA is a family run vineyard on Red Gum Pass Road, Kendenup W.A. in the Mount Barker Wine region. The vineyard was first planted in 1997 on fertile slopes that dip into the picturesque creek known locally as “Dead Man’s Creek.” When we first traveled to Kendenup we discovered our own piece of rural paradise. Unknown to us at the time, it had been discovered before by Gaye’s Great Grandparents and Grandfather, all of whom were born right here in Kendenup. The amazing views of the Stirling Ranges inspired the name “ARCADIA”, much used in Greek and Roman poetry as a place where people were believed to enjoy the perfect life. For us a place to enjoy good wine, good food and good friends. The ever changing panorama of the Stirling Ranges makes for the perfect setting in which to do just that. Wine sales by appointment only. Gilbert Wines are fourth generation farmers who take pride in growing and sharing with you the flavours of our region. We have a wine tasting cellar, a cafe with alfresco dining and great views. We also have a culinary garden that you can wander through. We provide national and international freight for your wine. Visit us soon and experience the flavours of Mount Barker. The first winery in the Great Southern, producing premium wines since 1974. Open Friday to Sunday 10am to 4pm. Other times by appointment. Groups by appointment. Windrush Wines • Café, is a boutique vineyard, cellar door, cafe and gift shop overlooking established gardens, vineyard to the Mount Barker hills. The setting is relaxed but stylish, the wines are beautiful and the food is tasty and provides for food intolerances. Windrush will cater for after hours functions and has a licensed grassed area suitable for larger events. ‘Making wines that people love to drink.